Looking for great, reliable and fun party bus hire in all suburbs of Sydney we can offer you a great deal. Mini Bus Hire Sydney & Minibus hire Sydney can help you out for your occasion for party bus hire including birthdays, celebrations and successes in life where you need a mini bus with driver. We can help your friends & guests to access multiple venues allowing you to focus on your party and have as much fun as possible. We make stopping and starting your party easy as we can drop off at specific locations and pick up without you worrying about parking, locking up, route planning and drink driving with our party bus hire. Of course without saying we get you home safely and in a timely manner to end your successful night. We are on hand with a phone call to immediately change plans for a successful party bus hire experience. Having a professional fun and reliable driver at the wheel means no-one will have to drive themselves and worry about parking and safety while they may also have one too many drinks either. Text 0412 602 999 with details for your party bus hire and we can send you an approx. quote back. A new service is now available & in operation for School Mini Bus Hire on the Northern Beaches. We offer a 24 seat mini bus for all your needs to transport up to 24 school students and staff locally around Sydney, morning, afternoon and night. We cover all occasions for schools, including sports activities, performances, training and outings. We endeavour to respond to your needs, so try us for a last minute booking. Our friendly professional staff are mainly qualified school teachers with current WWC & National Crim Check (Attached) and appropriate driving licenses. You get a clean bus and peace of mind with quality service, backed up by a guarantee every time. For your first job, to prove our worth, we will beat every quote by 10%. If happy, we look to beat all other future quotes for mini bus hire. The amusement parks and attractions in Sydney also make wonderful day trips for school children of all ages. Determine the major objective and using a school pass and you can save on park entrance fees and using mini bus transfer service for schools zipping from park to park for specific keeper talks and workshops. We are here to make you day special, easy, safe and very convenient for your staff and pupils. 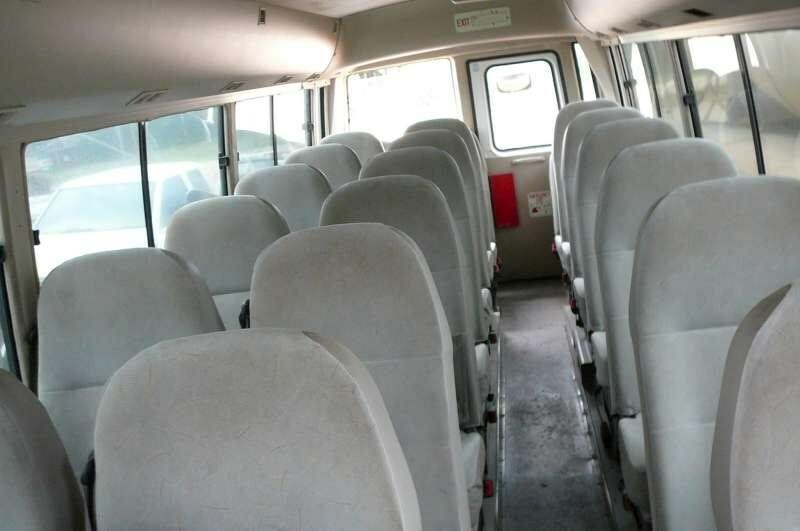 If you have planned to travel in a group for your event and entertainment then you probably should intend taking the whole family / workmates / friends for a trip, it makes sense to opt for hiring a mini bus instead of hiring a lot of vehicles, or even taking your own car. With the gradual and regular rise in price of fuels, it is mandatory that you save on your cost and also save the environment from pollution, so you can use all those hiring a mini bus service which work on diesel or on organic fuels, although the cost can be a little more in this case. 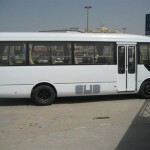 The expenses are not shared by you only, if you hiring a minibus service. You find that there is enough space in a mini bus if you planning to carry along any sports equipment for your outing, making it a more comfortable options. Hiring a bus gives you the freedom to halt anywhere at any time without bothering about the discomfort of fellow passengers as you will be travelling with family, friends or relatives. Generally the have local knowledge of the area for pick up and drop off at locations close to home. Finding somewhere to eat is probably one of the important things you can do when you’re consuming alcohol at a bucks night. There are a lot of different apps available for finding eating places & restaurants. The one we recommend is probably the most extensive is OpenTable which features over 4,000 restaurants which are signed up. Bookatable is an excellent app you can use as this app will allow you to book a table at a restaurant for free. If you are looking for activities and places or hotels then the best app for the job is TripAdvisor. This is an award winning service showing you the top places to visit as well as the best bars and clubs. You can also read reviews and post your own reviews. This is a highly recommended app. This app will show you everything there is to see and do in Sydney. As mentioned above, accommodation can be found using the TripAdvisor app, however other apps you can use include the Hotels.com app which allows you to book a hotel using the app. HotelTonight allows users to book the day of their stay and the duration with basic to luxury hotel rooms in a wide variety of hotels available. Booking Now is an app affiliated with Booking.com and features over 47 million reviews. It is worth mentioning the TravelSafe Pro app which includes all emergency phone numbers for foreign countries and also the contact details of your country’s embassy; this is important information to have as you never know when you might need it if you are abroad. No doubt on the bucks night you will be taking many pictures, and you will want to share them over social media, so make sure you have the Facebook, Twitter and Instagram apps installed at the very least. These apps are essential for sharing the night with those who couldn’t make it. A mini bus is the ideal solution for a number of occasions from weddings, sporting events and days out. It could be for private charter such as a wedding, a company tour, any type of gathering or event for the boys. A good minibus hire service is listed with the local ads and can be easily found, and you can also get an idea from the search engine results. Local is always the best as they know the area for pick up and drop off. You can decide on your budgets, and the distance you have to travel, before you opt for mini bus hire. Make sure you look for a well reputed provider and get the trip in writing as this can assure you of safety and on time service. If a company has been in this line for 10 years or more, they can be considered reliable and trustworthy. If the companies are well-certified, and they have been serving national clients all across the city and the country, then you can be well-aware about their service criteria, their punctuality and what kind of vehicle they do offer. 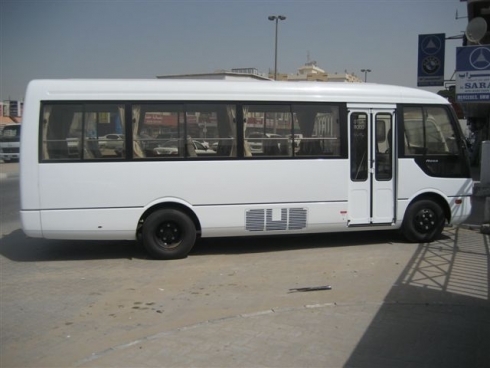 Once you have narrowed down your search to 2 or 3 companies providing these mini bus hire you can discuss the various aspects with them. You need to know the type and size of vehicle with the price you will be charged. You can also discuss the type of transfer you wish and how the payment is to be made. So, carefully searching there is more than one chance that you will be able to get a good bargain. When you discuss this with the different companies make sure you provide the information of how long you need to hire the bus for. 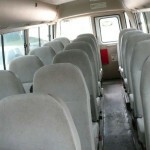 Mini Bus Hire can supply a modern 24 passenger seat mini bus for you. With affordable rates you don’t need to worry about how to get there and back from your next venue booking. Hire a mini bus and professional driver for a trip, an hour, a round trip or the whole day/night. Move from place to place around Sydney or your local area in our mini bus without any worries at all. We can accommodate most requests and can help you organise and advise for your journey. We can also offer you a discount should you have previously used us on other occasions. We are user friendly, safe and most importantly reliable. When you make your booking it is locked in. We make a promise and deliver on it. Thinking of going further afield? We travel out of the metropolitan area in our mini bus to such locations as Wollongong, Central Coast, Blue Mountains, Canberra and Hunter Valley. All this can be arranged simply by pre booking our service and the earlier the better so your total requirements can be met. We will pick you up at your door or meeting place, take you to the venue and pick up and take you home all in the comfort and safety of our minibus. We also offer to take you from your house party to a club in the minibus. You can also organise for us to pick you up at the end of your night. All you need to do is to pre book, tell us what you need, sit back, relax and let our people drive you in our mini bus. No police and no worries when you hire a minibus from us. Call Mini Bus Hire on 0412 602 999 Mini Bus Hire Sydney.